According to Robert (Bob) Feldbauer, traditional project management methods can be the kiss of death for healthcare systems who follow them blindly. 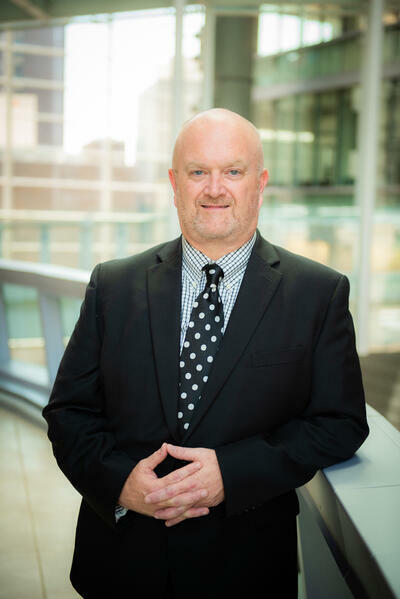 The System Vice President for Facilities, Construction and Real Estate at UC Health is passionate about improving project management in the increasingly complex world of healthcare construction. He’s currently finalizing his doctoral thesis with the University of Liverpool on the subject, taking a deeper look at the applicability of the best practices of High Reliability Organizations in particular. Feldbauer’s diverse career has taken him all over the world, from the Philippines to Qatar. After 22 years in the Air Force, Feldbauer made the leap to healthcare facilities management: he spent four years at Mercy Health Fairfield before being hand-selected in 2005 as one of the first 50 healthcare engineers hired by the Joint Commission as a Life Safety Specialist surveyor. 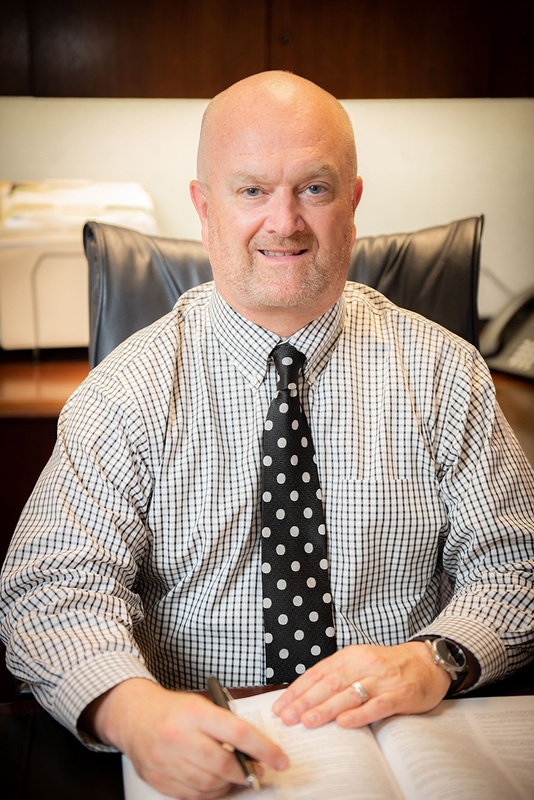 His most recent role was Chief Operating Officer at a 400-bed teaching hospital in the United Arab Emirates, while simultaneously serving in a systems-level leadership oversight role for four new replacement hospitals being built in the Emirate of Abu Dhabi. How did you get your start in healthcare facilities? My first career after high school was active duty Air Force. I was an engineering technician (drafting, land surveying, construction management), and went to college at night to earn my degree. Upon completing my bachelors in the early 90s, the air force base where I was stationed was selected for closure. My next assignment was going to require significant travel. My prior undertaking in the Philippines had been unaccompanied (meaning without my family), and my two sons were young at the time. I didn’t relish spending more time away from them, so I decided to test the job market and accepted a position as an assistant director at Upstate Medical University Hospital in Syracuse, New York. I transferred to the Air Force Reserves and eventually retired from the military after serving 22 years total. What excites you most about the direction that healthcare is headed? Most healthcare organizations have adopted the mantra of being patient-focused. However, as healthcare facilities leaders, we don’t represent one patient at a time but the entire population in that space, including staff, patients, and visitors. And yet, the healthcare facilities field has generally not had the systems, data, or analytics to optimize the experience for the whole. to create the safest and most efficient environment. I’m excited that data analytics and business intelligence tools are being developed and employed to assist in managing our complex facilities and operations to create the best experience for everyone on our campus on any given day. What current project are you most excited about at UC Health? UC Health is building a world-class, patient-centered outpatient facility for the neurosciences that will consolidate and expand services and improve patient experience and coordination of services. Opening in the Spring 2019, it will be home to the UC Gardner Neuroscience Institute (UCGNI), a collaboration of the University of Cincinnati (UC) College of Medicine and UC Health, and drive alignment of UCGNI’s tripartite mission of research, education, and delivery of care for patients with neurologically and psychiatrically related diseases. The facility will be a 4-story signature landmark on campus. How is your team doing things differently to plan for the future? 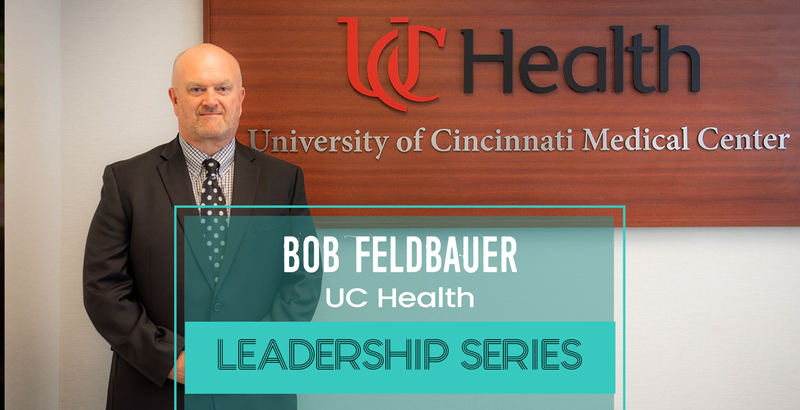 At UC Health we recognize that the traditional hospital operating platform, structure, and model no longer defines where the greatest gain or advantage may be in providing healthcare and leveraging prevention and wellness. We have and continue to look at how we can provide patient care in the safest, most effective environment while creating the best outcome and experience for all visitors. In preparing for an even more patient-centric future, we recently selected a leading national healthcare design firm to help us develop a master plan for our Clifton Campus, which includes in part UC Medical Center, a 700-bed Level-1 trauma center. When it comes to managing complex projects, what is the most frequent challenge for facilities leaders? Healthcare construction projects have become increasingly complex, with $1 billion+ projects becoming commonplace. Yet, traditional project management tools and methods employed to manage projects continue to be principally linear processes designed to manage projects with a clearly defined scope and foreseen risks. With complex projects, however, the environment is by definition dynamic, therefore, unforeseen risks and unexpected issues are unavoidable. "Complex projects also require enhanced ‘soft’ skills. " To be successful, neither information technology nor technical project management skills in and of themselves are sufficient to manage complex projects. Complex projects also require enhanced ‘soft’ skills. These include not only leadership, communication and interpersonal skills, but also knowledge of complexity theory and systems thinking. In the doctoral research I conducted at the University of Liverpool, I found concepts from High Reliability Organizations (HRO), in particular, the research of Karl Weick and Kathleen Sutcliffe concerning the principle of mindfulness displayed by HROs, especially helpful soft skills that can be adapted in practice for both project leaders and teams. For those wishing to learn more, I suggest Weick & Sutcliffe’s 2007 book “Managing the Unexpected: Resilient Performance in an Age of Uncertainty” (2nd edition). 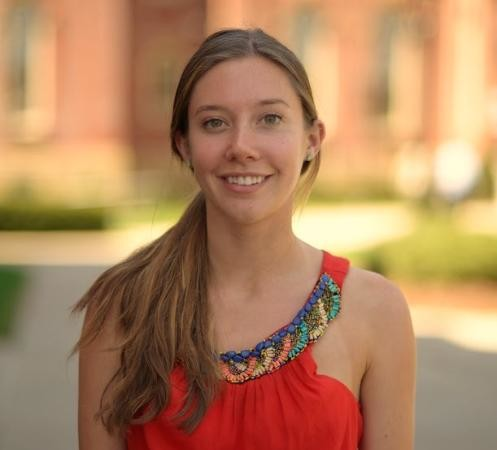 Recruiting young talent is a struggle for many facilities organizations. How would you pitch this career path to a high school student? Most high school students should recognize that healthcare organizations serve their community, so I would pitch the aspect of doing meaningful work for an employer whose mission is to improve the health and welfare of the community while working alongside extremely smart and dedicated people who save lives every day. How do you believe the skill-set needed for healthcare facilities management is evolving? Technologically competent facilities managers are increasingly crucial as more work is conducted through mobile or IoT-based devices. In addition, healthcare facilities leaders will need to develop interoperability between different information platforms for business intelligence through the manipulation and interpretation of data to assist senior leadership in better managing operations and spending capital dollars. With a career that’s taken you all the over the world, do you believe your global experience has influenced your leadership style? There are elements that are universally fundamental to be a successful leader, such as treating people with respect, honesty and integrity. Working internationally, particularly in countries that hire employees from literally around the world (with obviously significant differences in language, culture, etc. ), necessitates an adaptable leadership style. You have to become adept in acute listening and being attentive to subtle clues. For example, some cultures are simply not comfortable bringing issues up to management, and even seemingly basic words such as ‘Yes’ and ‘No’ can’t always be taken literally, as some cultures compel frontline employees to tell management or customers what they believe they want to hear. Being able to catch subtle verbal or nonverbal clues allows you to dig deeper into issues. You’re able to personally delve into projects for early warning signs of potential risks. As such, I had to really get out of my comfort zone of managing and leading how I successfully did from a principally western perspective and stretch myself to develop different leadership styles and tactics, depending on the situation or audience. It's often said that great leaders are great decision-makers. What has been your biggest lesson learned in making better decisions throughout your career? Understanding cognitive biases and how they affect not only decision-making but even behavior has been my biggest lesson learned. Unfortunately, I often see teams affected by biases such as groupthink, shared information bias, planning fallacy, and system justification. Recognizing cognitive biases can help you recognize and label your perceptions or feelings and consider alternative views before making critical decisions. How do you promote a culture of innovation and risk-taking within your team? The first thing I do is identify what type of issue I am trying to resolve or process I am trying to improve. I classify them as three main types. First, there are many processes in healthcare facilities management that can and should be repeatable. For those processes, we put into place procedures, checklists, or other tools for consistency in practice and outcomes. The second type is items requiring expertise beyond our team’s capabilities, in which case I bring in outside experts. Examples include architects and engineers, elevator maintenance persons and environmental testing specialists. The third type of issue is where we rely on team members’ innovation dealing with issues that don’t have simple and/or repeatable solutions or ones that don’t necessarily require outside expertise. Instead, you have to try things to see what works because they only become evident in hindsight. Things like organizational culture, employee engagement, and customer service fall into this category. For a simple example: one hospital had an issue with smoking outside its front entrance. First, ‘no smoking’ signs were posted and then public safety staff was asked to occasionally police and ask people not to smoke. Then, more signs were posted. Next, all management staff was asked to remind visitors not to smoke. None of this made much of a difference. Finally, an idea was to have a recording with a pleasant female voice asking that for their health and the health of others, please refrain from smoking on campus. This recording looped on speakers placed in the area every four minutes and dramatically reduced the number of smokers. Since that worked, the same recording was then installed in other locations with similar results. What's something others would be surprised to learn about you? In 1991, I was stationed at Clark Air base in the Philippines when the volcano Mt. Pinatubo erupted. The volcano was located eight miles away. As a base engineer, I was one of 50 people left behind when most personnel and their families were evacuated to another naval base about an hour and a half away. It was the second-largest eruption of the 20th century, 10 times larger than Mount St Helens in 1980. In addition to the massive blasts happening over several hours, there were major earthquakes due to the collapse of the mountain and a typhoon (Typhoon Yunya) that occurred on the same day, which caused the sulfuric ash to turn into a heavy, rain-saturated snow-like blanket. Everything was total darkness as if it was the middle of the night. Over 800 people in the local vicinity were killed, mostly from collapsing roofs. Hundreds of buildings collapsed on the base, and another engineer and I worked 18-hour days over the next two months to complete a damage assessment report, which was sent to the Department of Defense and used, in part, to justify] abandoning the base. What is the best piece of advice you've received in your career? Early in my Air Force career, I asked Chief Master Sergeant (E-9). who was young for his rank, how he consistently earned promotions much faster than the others. He asked me how I should act and think if I wanted to be promoted sooner to my next rank, and I said I should start acting like I hold that rank now. He taught me that the key is to think and act as if you are two grades above your current rank, which will make you more valuable to others who can affect early promotions as you solve problems and issues that typically fell upon them. That advice led to early promotions for me during my Air Force career and has served me well in my healthcare career. Know a noteworthy facilities exec that we should feature in the Leadership Series? Feel free to drop us a line at HealthSpaces@influencegrp.com.